The used Toyota Corolla has long been the quintessential economy car, bringing fuel-efficient, reliable transport at a price that’s exactly right. It’s certainly no accident that the Corolla is the world’s bestselling nameplate. If you’re wondering what to expect as you peruse the used car lot, our used Corolla buying guide is here to help. Like the models that came before it, the current Corolla is a spacious sedan with a strong reputation for reliability. Treat it right, with proper maintenance and oil changes, and it’ll take you beyond the 100,000-mile marker without hesitation. The Corolla’s blend of interior comfort, fuel mileage, easygoing driving dynamics, and economy price tag make it the total package. What do the different used Corolla trim models offer? Look for six trims on the used lot: the L, LE, LE Eco, XLE, SE, and XSE. Every Corolla from this generation comes standard with a long list of modern comforts. That means a rearview camera to help you back up safely and the Entune infotainment system for impressive smartphone connectivity. In the mid-grade Corolla LE, you’ll find timesaving conveniences, like keyless entry and heated mirrors. This model also includes automatic climate control, so the system maintains your perfect temperature, with no work on your part. The LE Eco adds low rolling-resistance tires and enhanced aerodynamics to achieve this Corolla’s thriftiest fuel economy ratings, 30 city/40 highway mpg. The sporty Corolla SE upgrades performance with larger wheels and a rear spoiler. As you zoom around town, the manual transmission gives you complete control over performance. Inside, its front sport seats and leather-wrapped steering wheel upgrade your daily drive. In the upscale XLE, you’ll find all the latest comfort and convenience items. Keyless entry and ignition offer a quick and easy way to hit the road. On your ride to work, the sunroof fills the cabin with early morning sunshine. If it’s cold outside, the heated seats have you covered. The upgraded audio system with touchscreen display and satellite radio is the perfect companion on long highway rides. 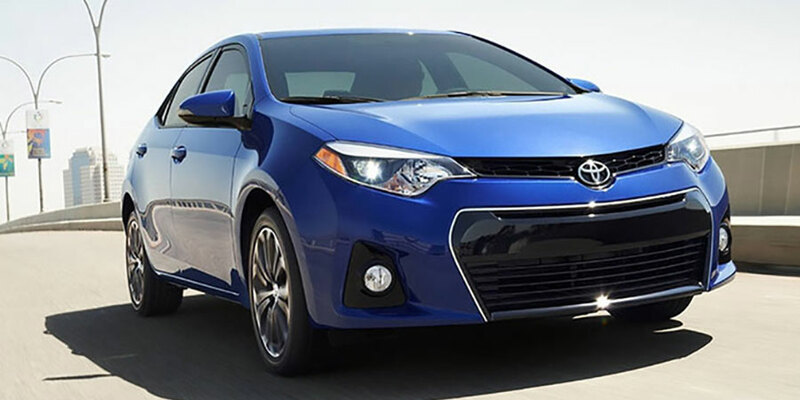 Choose the used Toyota Corolla XSE to combine the luxury features of the XLE with the performance upgrades in the SE. What’s changed during this generation? Starting with the 2017 model, the eleventh-generation used Toyota Corolla comes standard with the Toyota Safety Sense P system. This suite of driver aids keeps you on your toes. The forward collision warning system doesn’t just alert you to danger; it can automatically hit the brakes to reduce damages. The lane departure warning system also actively helps you stay safe with lane keeping assist technology. Should you stray from your intended path, it will gently put you back on track. Compared to previous models, these Corollas are slightly wider, perfect for families who crave extra elbow oom. On the road, these Corollas always feel smooth and composed. And they certainly live up to Toyota’s reputation for reliability. 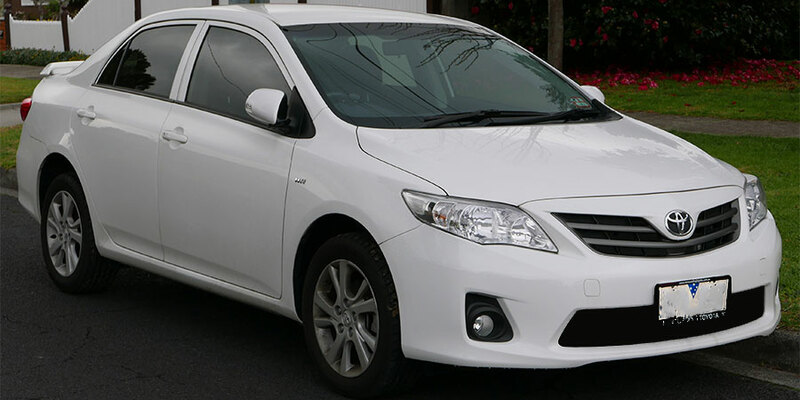 As you shop these used Toyota Corolla models, you’ll find the base Corolla, LE, S, XLE, and XRS trims. The base model has everything you need for a smooth, comfortable ride. That means full power accessories and air conditioning. Plug your smartphone into the auxiliary audio jack to play your music over the system’s speakers. Upgrade to the LE for additional conveniences, such as cruise control and Bluetooth hands-free calling capabilities. The Corolla S looks sportier than the other models with special styling accents, metallic interior trim, and fog lights. Its upgrade cloth upholstery also sets it apart, giving you a little extra comfort as you cruise around town. The XRS takes performance even further, with its bigger engine and sport-tuned suspension. Check out the XLE for top-of-the-line luxury and style, including wood-grain interior trim and a sliding center armrest. How has this generation of used Toyota Corolla sedans evolved? 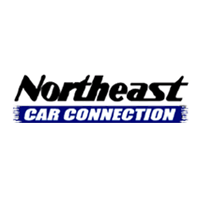 Beginning in 2010, stability control became standard equipment. When you test-drive a 2009 used Corolla, simply check the features list to make sure this important safety gear is on it. If you’re looking for the Corolla XRS or XLE trims, you should note that they were only sold for the 2009 and 2010 model years. From 2013 and on, the Corolla featured an optional touchscreen audio system for a more modern infotainment experience.